This is the time of year to count our blessings, give with great thanks, and share our bountiful harvest with others. Our LaRue Miller Elementary learning community did this in a BIG way! Our entire campus collected a total of 2,622 food items during our annual food drive all last week. Our Student Honor Council members assisted Mrs. Stanley in carefully sorting, counting, and packing the items in categories for our local food pantry, Manna House. 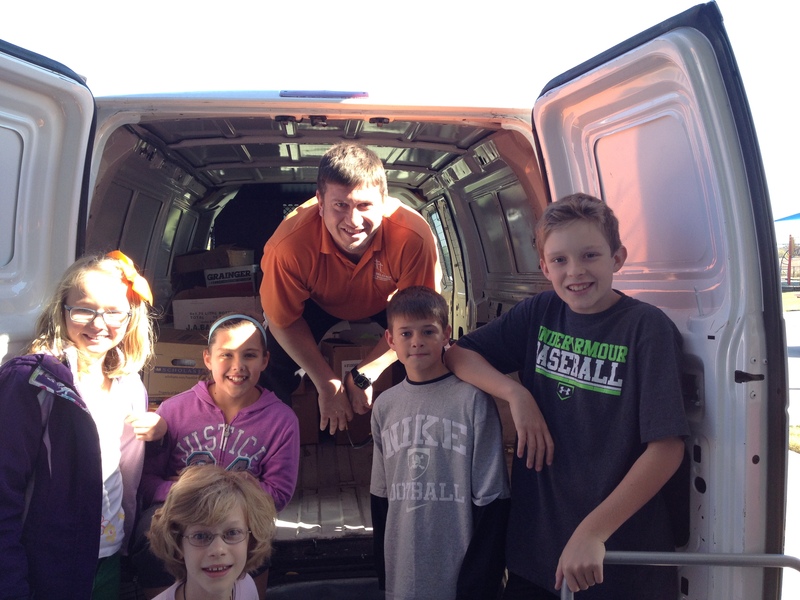 The group willingly helped to load the Manna House van this afternoon during their recess time as a way to share their time too. 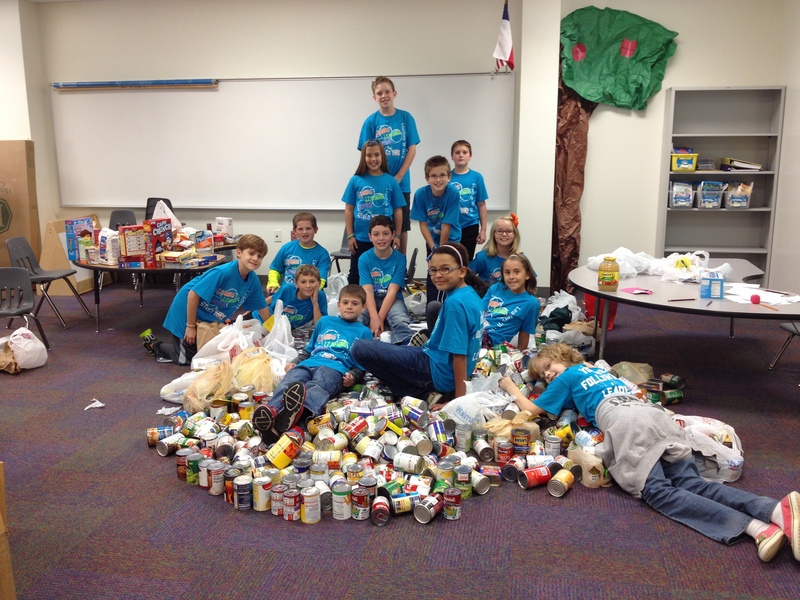 This entry was posted in Personal Reflections and tagged food, food item collection, giving, sharing, thanks. Bookmark the permalink.